Lessons from a missing ticket. I have learnt to always keep my tickets till the destination. 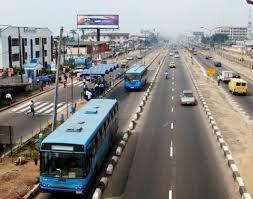 It happened that I learnt my lessons some years ago while on-board the old and regular BRT (Lagos,city) bus, the Ticketer approached me as we got to a new station and all I could to do was plead because I unsuspectingly had thrown away my ticket... At that time, I surely was just like anyone who got on-board for free, tagging along without any tickets. My only excuse-I threw away my ticket just before I got to the destination! I woke up from reading ,dreaming and thinking and reached into my pocket as the Ticketer stopped in my front waiting for my bus ticket..
And there in my wallet was the crinkled ticket which showed that I paid my fare and I should be allowed to the destination. I sat back and then I felt the need to share, to blog this and take this as a lesson in success, goal setting and life's journey. We are constantly on a journey in life and no matter our destination- success, wealth, fame or true greatness, there is always a ticket that permits our thoroughfare.. It is easy to lose the ticket, to lose, roughen, ruffle it or throw it away especially if it is a long trip and believe me, it usually is a long journey to anything worthwhile , even Nelson Mandela’s book title describes it as a Long Walk To Freedom..
No matter where you are heading, keep your dreams. Your Dream is your ticket anywhere you would rather be, and like your ticket, it validates your reasons to be on-board the bus heading to your great destination and with God's grace, we will arrive safely.